Have a Question about DI-Rect Single Phase Regulator Rectifier Zener Diode Replacement - AC to 12v DC ? 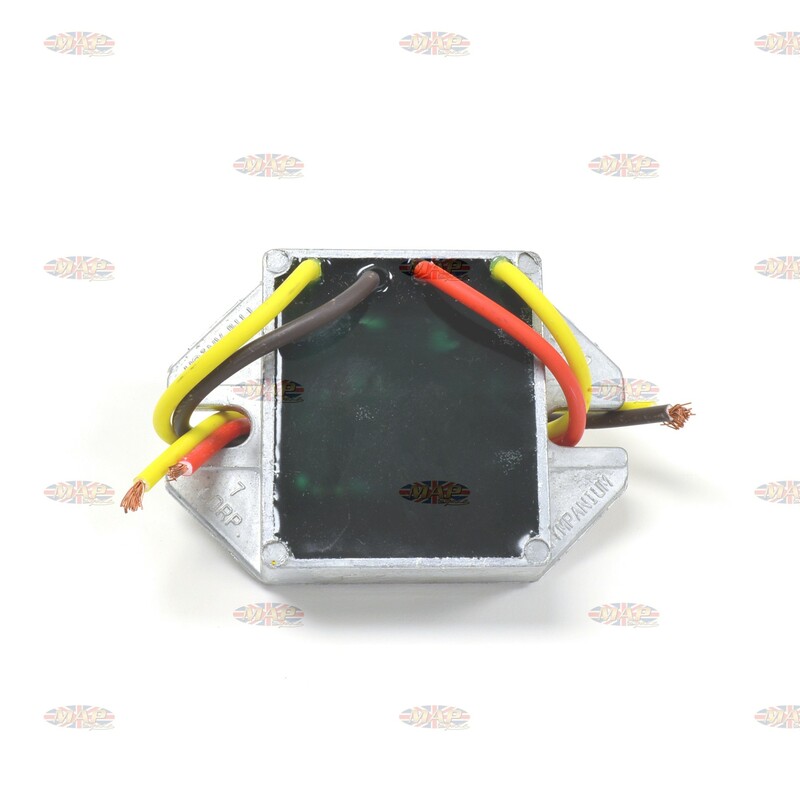 Regulates and rectifies A.C. current to maintain battery/capacitor voltage. Perfect replacement for the expensive stock rectifier & Zener diode at a fraction of the cost. Norton Triumph and BSA bikes with single-phase permanent magnet alternator up to 215 watts. 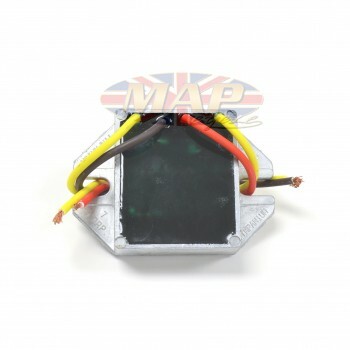 2 X 2 X 1/2"
When combined with the MAP capacitor, is the absolute best combination for battery less operation. As a two piece assembly, the capacitor if blown will not take out the entire unit. NOTE: For safety, it is best to use a battery for the brightest lights, especially at idle.